Cat Warren's German Shepherd Solo was a singleton, the sole puppy in his litter. He's just not going to have the same social skills as a pup from a larger litter so she decides he needs work to do. So begins her journey into the world of cadaver dogs, training him to find dead bodies. Love of the putrid is inherent in canines. So why not take that love and channel it toward something more socially useful than rolling in dead squirrel? This was a fascinating read on a rather macabre subject. Any dog owner knows how tempting a smelly corpse is (roadkill, of course!) and their noses are tuned into such scents. 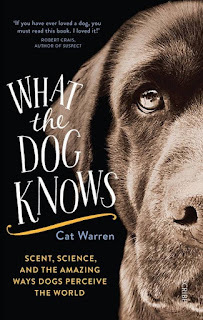 Despite the subtitle, it doesn't go into the science of smell all that much, instead concentrating on the history of cadaver dogs and how they go about training, interspersed with anecdotes from Solo's own training and work. It also touches on some other working dogs, mostly law enforcement but also search and rescue. The cadaver dogs are mostly supplied by volunteers but they do valuable work, finding victims and providing answers to the families of missing persons. Solo, who has just spent his time throwing himself with delight into muck-and-algae-filled swamps, will tuck his tail and lay his ears back tight against his head, trying to seal them against a single drop of clean water. 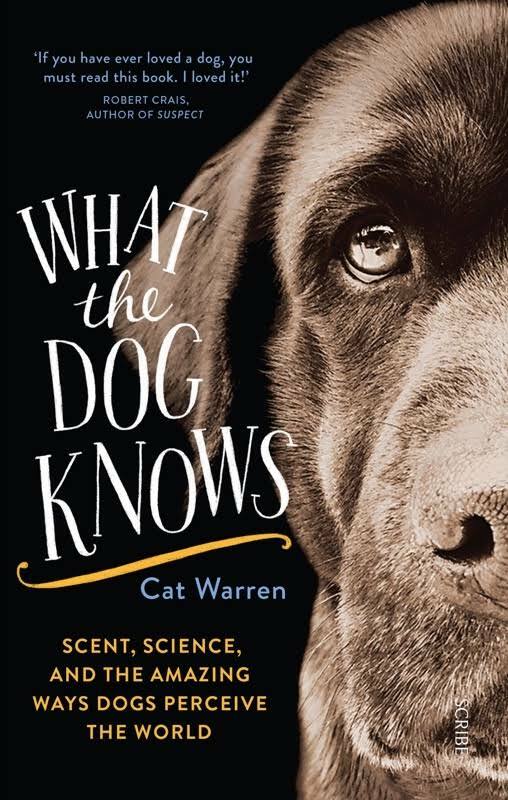 Cat's involvement with cadaver dogs leads her to work with and talk to some of the pioneers and she includes their stories in the book. It also spends a bit of time talking about the cases where people have over-relied on the dogs, not backing up with extra evidence, or believing the dogs are infallible. That sounds like a good book. I read one about a dog trained to find missing persons- it would be interesting to see the difference/sameness about how dogs are trained to find bodies. Adding it to the list!